Arbitration clauses are in the news. For anyone new to the debate, arbitration is a process wherein a dispute or allegation of misconduct is resolved outside of litigation. In employee relations, an arbitration clause almost always includes a class-action waiver. If a dispute arises, both sides present their cases and evidentiary materials, an arbitrator establishes the procedure and ultimately makes a final determination that is binding on both parties. Sometimes voluntary and at other times mandatory, arbitration clauses are often portrayed as legalese put in employment contracts to protect the employer. However, employers – not just employees – are wise to consider the implications of these clauses. There are challenges that accompany the decision to use them in employment agreements, and an employer can mitigate some of these risks with a bit of forward-thinking and smart technology. In an arbitration proceeding, the arbitrator establishes process, milestones, evidentiary requirements and a time frame to resolution. Both parties present their evidence based upon the demands established by the arbitrator, and relative to a lengthy litigation process, the arbitration time frame typically concludes more expeditiously. Arbitration timelines are often months whereas litigation can take years to come to closure. A speedier resolution via arbitration also means that employers have a compressed time frame within which to compile and present the requested documentation. At HR Acuity®, we have an expression –“court-ready documentation.” Whether the documentation collected is ultimately used for litigation or arbitration, it must be thorough, compliant, organized and accessible. 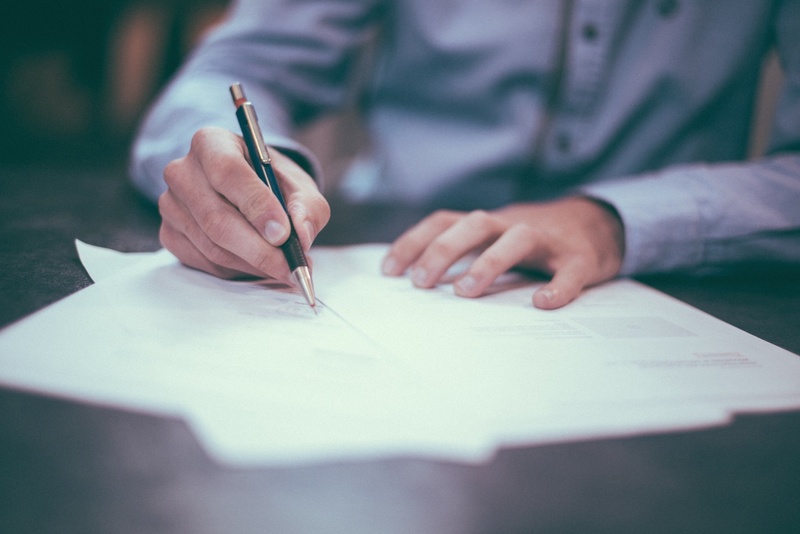 Importantly, both parties involved in arbitration often have the opportunity to present fewer supporting documents relative to a lengthy litigation procedure. Employee relations practitioners need complete documentation and supporting evidence to best determine how to represent the organization in a proceeding. Employment contracts with arbitration clauses are growing rapidly. Although there are no formal statistics, the Economic Policy Institute calculates that based on trending data, “…it is reasonable to estimate that today, a quarter or more of all employees in nonunion workplaces are subject to mandatory arbitration agreements.” The analysis goes on to outline how in spite of the exponential growth of these clauses, best practice employee relations invariably involves a well-honed internal dispute resolution process that takes place well before the decision to go to arbitration. To this end, arbitration clauses do not remove the need for an organization to have rigorous, defensible documentation and workplace investigation procedures in place. Citing the examples of Anheuser-Busch and TRW, the Economic Policy Institute study describes how the powerful combination of rigorous internal dispute resolution procedures and mandatory arbitration clauses reduced the actual number of cases that progressed to arbitration to no more than a handful. Much of the press on arbitration compares which side, employer or employee, “wins” both in terms of the outcome of the judgment and the damage award. 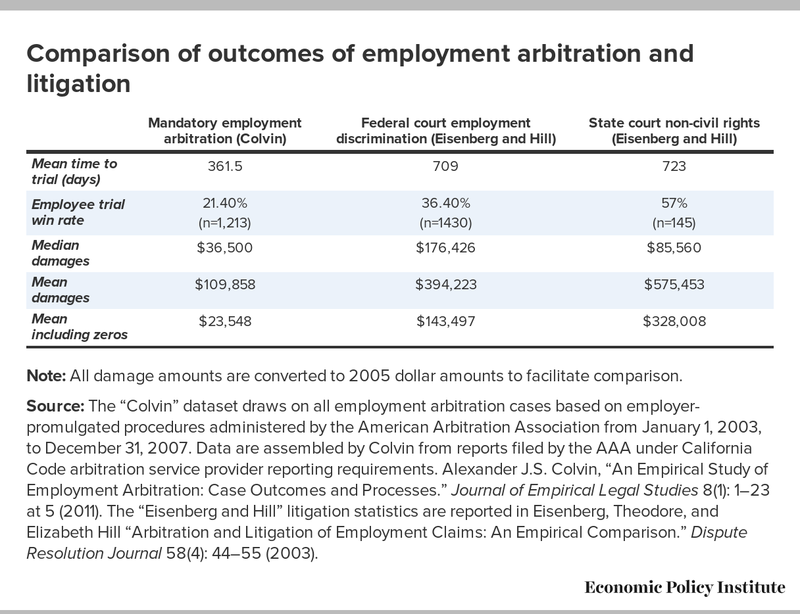 Statistically, the outcomes worsen for an employee when disputes are settled via arbitration, as noted in the Economic Policy Institute analysis. 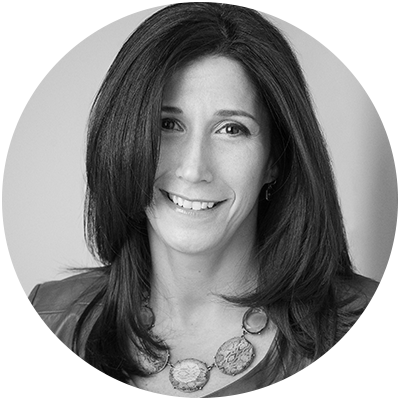 The data on arbitration and litigation awards is insightful and important, yet in reality, represent just one component of the expensive and time-consuming process through which organizations address allegations of misconduct. At HR Acuity®, the employee relations survey and benchmark study work we have done over many years consistently show organizations struggle to quantify the broad financial impact of employee-related misconduct whether it be in terms of staff time, resource drain, legal expense, reputational damage or opportunity cost. It’s an important perspective. Even if an organization utilizes arbitration clauses in their employment contracts, HR should continuously strive to quantify the cost of employee-related risk mitigation from start to finish. The real endgame must be to resolve issues in a way that results in fair outcomes for all parties and avoids either litigation or arbitration. In short, employers must know that arbitration clauses are not a silver bullet for the rising cost of managing employee relations risk. Even when they have been used, employers have been sued over their applicability, enforceability and fairness. For HR practitioners, the focus must remain on effectively mitigating employee-related risk in the broader context of the organization’s overall employee relations policy. Process, policy, and perspective – these are my 3 essential P’s for employers that are using arbitration clauses as part of their employee relations toolkit. Would you like to learn how HR Acuity On-Demand, the leading employee relations management system on the market today, can help your organization with consistent documentation and structured investigations? Contact us for a free 1:1 demo or call (888) 598-0161.